Serene Hill is built for families that want to enjoy the best of Austin living, but still want to live luxuriously and comfortably. This beautiful neighborhood is set in Lakeway, in unspoiled natural beauty. Live life surrounded by rolling hills and majestic live oaks. Spend your days swimming, boating, and exploring the sparkling Lake Travis. Your beautiful new home in Serene Hills is set on a large lot, and features the lowest HOA fees in Lakeway and Bee Cave. 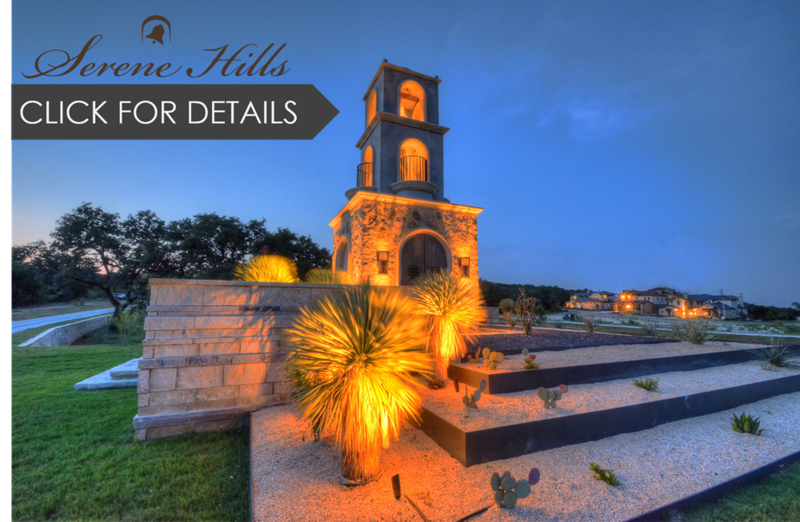 The Serene Hills community, which runs along Serene Hills Drive, off of Hwy 71, is conveniently located just 5 miles from the Hill Country Galleria as well as other outdoor area amenities. The community also boasts a hike and bike trail, zoning for the exemplary Lake Travis ISD schools, all in a beautiful Texas Hill Country setting. 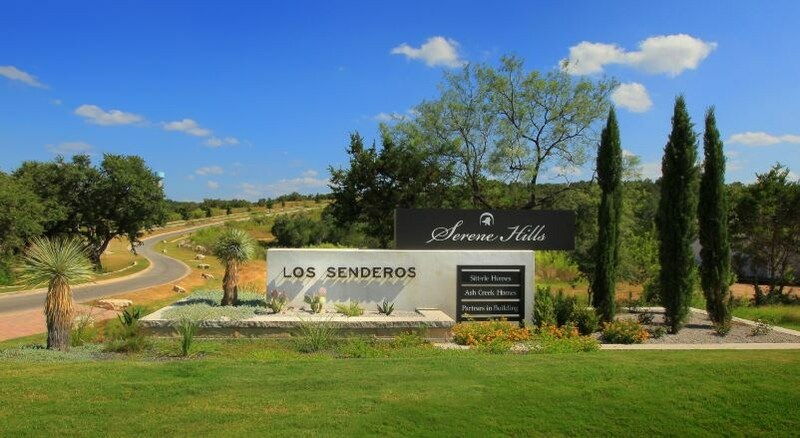 Residents of Serene Hills have access to the luxurious Hills Country Club, The World of Tennis, and the Nitro Swimming center. Serene Hill buyers can expect exceptionally well designed floorplans with high end finishes, open concept living, 2 and 3 car garages and top notch lots with greenbelt and Hill Country views on heavily treed home sites. 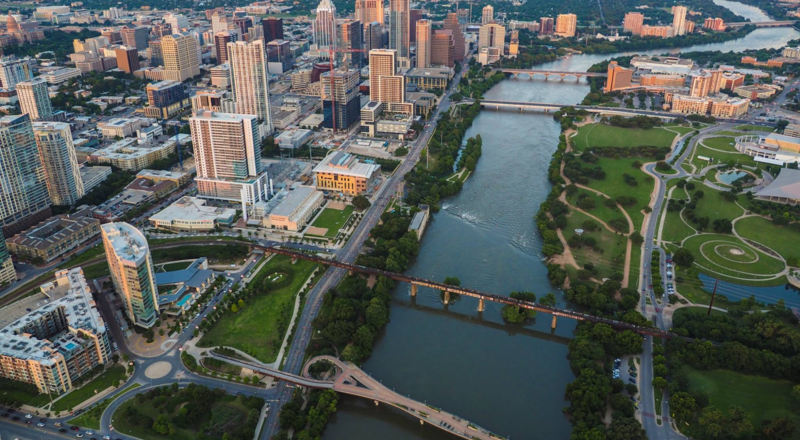 Homes will range in style from Soft Contemporary to Hill Country Modern to Contemporary Mediterranean. The luxury homes of Serene Hills have been designed to look beautiful, and built to stand the test of time. The homes feature a wide array of floor plans and reflect a refined style that embodies the spirit of the Hill Country. Builders have brought their passion for quality construction to this fantastic community, so you can rest assured that your dream home is the quality new construction home your family deserves.